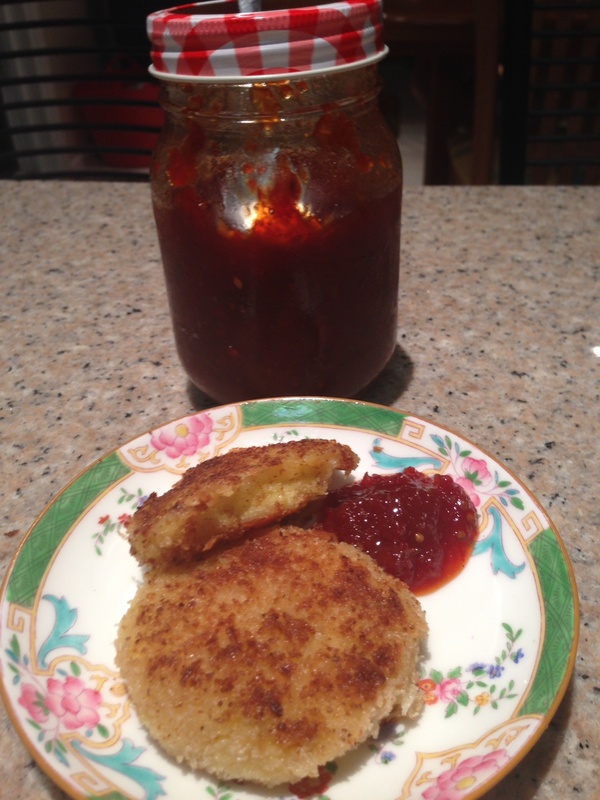 Potato Croquette’s with Tomato Jam. And Other Things. I had a request to bring a poshish, dainty treat for high tea at work for Harmony Day. I also had a mountain of leftover mashed potato from the bangers n mash the night before. Could I combine the food request with my inherent need to create culinary delights out of leftovers? I’m obsessed with leftovers and will often think about what I can do with the leftovers before I’ve even finalised the main event. Potato pancakes? Blinis? 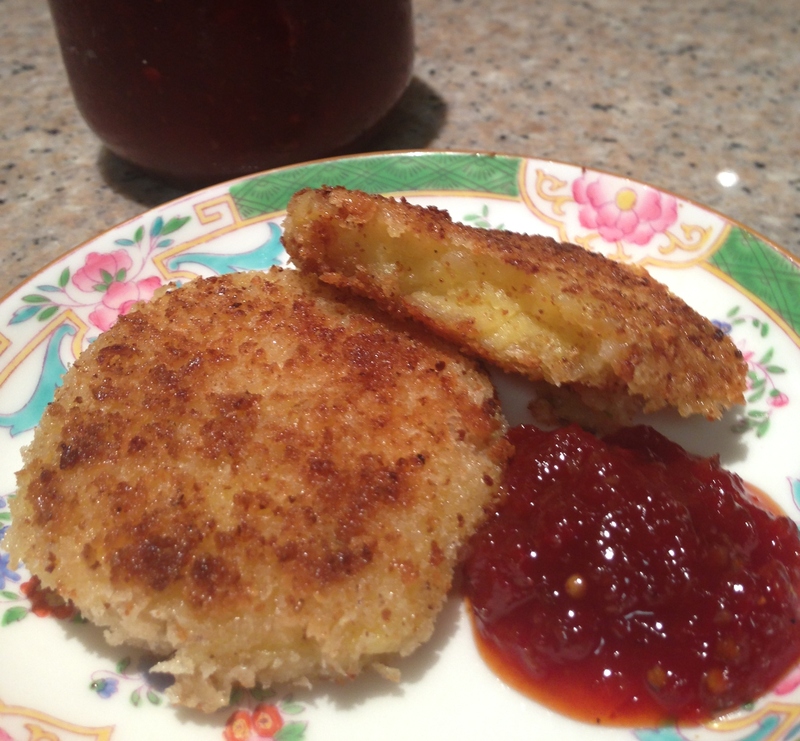 Or Potato Croquette’s? The former two would require purchases of other items to go with, which defeats the purpose of a creation out of leftovers. Besides, who doesn’t love a fried crunchy outer shell, encasing a soft, fluffy potatoey, cheesy treat? A perfect foil for my recent foray into tomato jams. Winner! 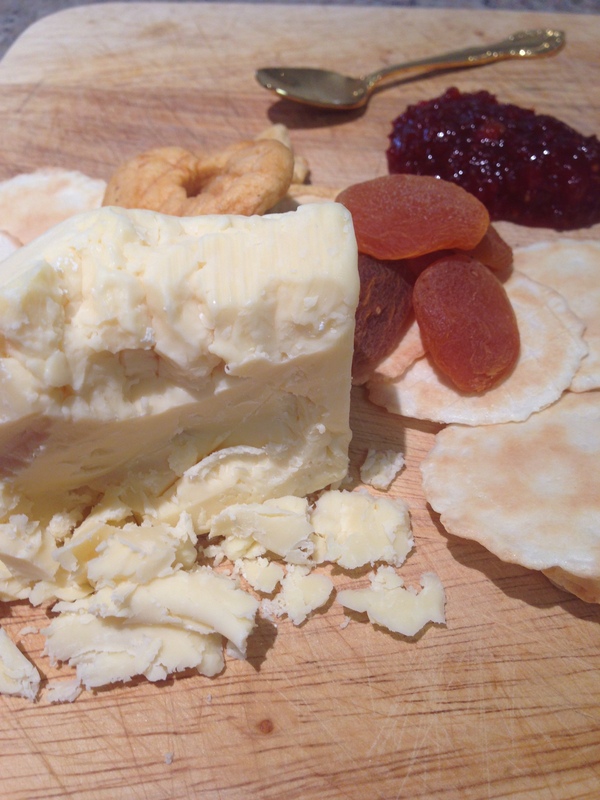 I also had a big chunk of fabulous Maffra aged cheddar lying about in the fridge, so I thought I’d bung that in too. My friend is a chef and he was recently tasked with bringing the cheese n biccies for a dinner party for my dad’s 61st. Thinking he’d bring along a couple of very decent wedges, a washed rind or two, a blue maybe and a couple of special cheddars, he rocks up with this. 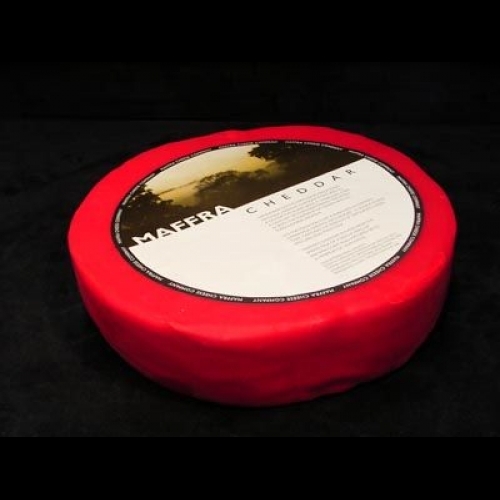 A HUGE wheel of cheese! 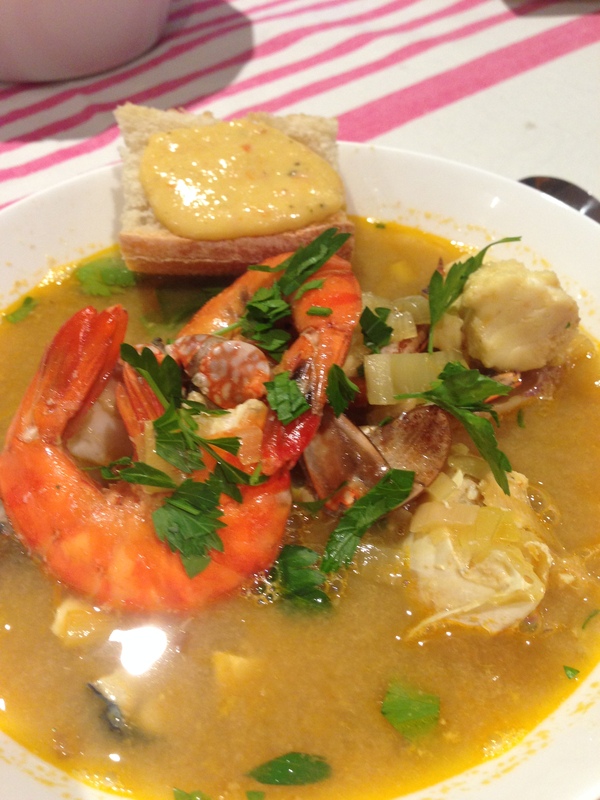 My dad’s bouillabaisse, served up with rouille. This was a mid week treat for Tween, Buddy and I, as SO doesn’t eat cheese often. Although he has been having some very special cheese and ham toasties. 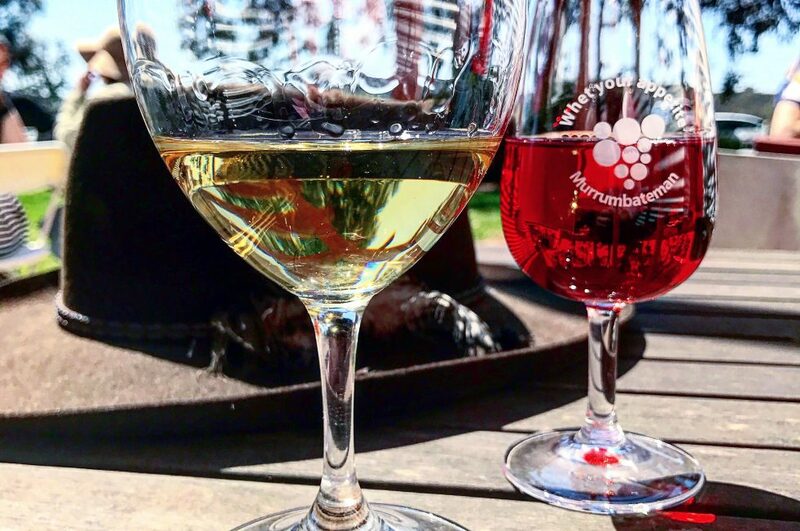 Talk about a real luxury for us! I searched the interwebz for a recipe for potato croquette’s and found one from Paula Deen, Queen of all things deep fried from the American South, then completely changed it. The ingredients are approximate as I cook by feel and taste usually, and with leftovers it’s a matter of mixing things up to create something which is sometimes better than the original dish! 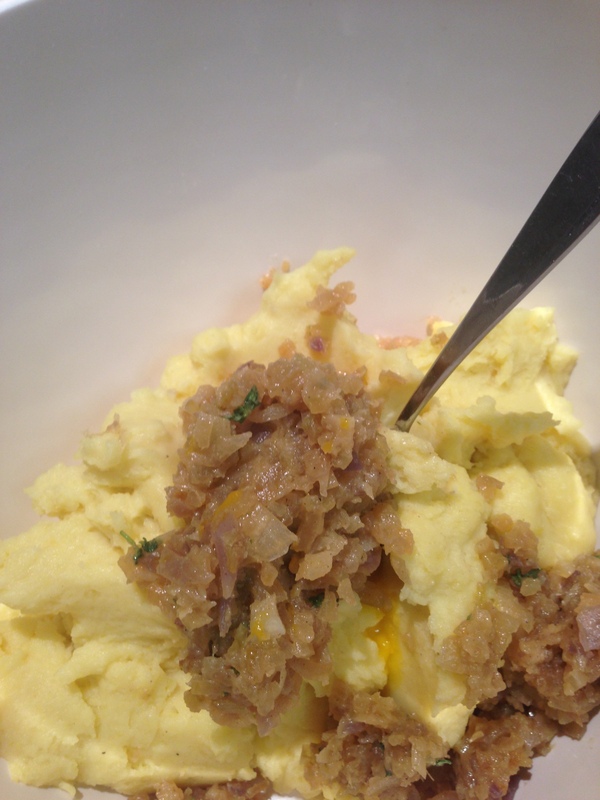 Mashed spuds, caramelised onions, fresh thyme, djon mustard and cheese. Mix it all together with your hands; have separate containers with the flour, breadcrumbs and eggwash; roll croquettes as big or small as you want them – I flattened mine for easier transportation and frying the next day at work; roll in flour then eggwash then breadcrumbs; put in fridge for a couple of overs, or overnight to develop the flavours and harden up. Fry til golden and crispy and delicious. I admit I used a mix of vegie oil and butter as I was limited with the oil being that I took my lekky frypan to work and fried them up in the kitchen. I did have complaints from those in teams not invited to high tea, that it was simply unfair to be frying breaded items in a work environment, late on a Friday afternoon. And where was the beer, they complained? They were everything they were supposed to be – hot and crispy hard on the outside, smooth and fluffy and delectable on the inside. The tomato jam added just the right amount of sweet, savoury and bite to them. My pregnant colleague ate 5 of them. Which didn’t leave a lot for the rest of the team, but that was ok because there was smoked salmon with capers and French soft cheese, Camembert and biscuits and a Maggie Beer pate, mini curry chicken papadums, and pastries from Flute bakery in Fyshwick. Oh, so much food on a Friday afternoon. How was one supposed to go back to work and be productive without slipping into a food coma?